Eufemia Giannini was Gemma’s favorite of the Giannini children and the confidant of all of her secrets. She was her devoted attendant during the whole time of Gemma’s last illness and was present at St. Gemma’s death. 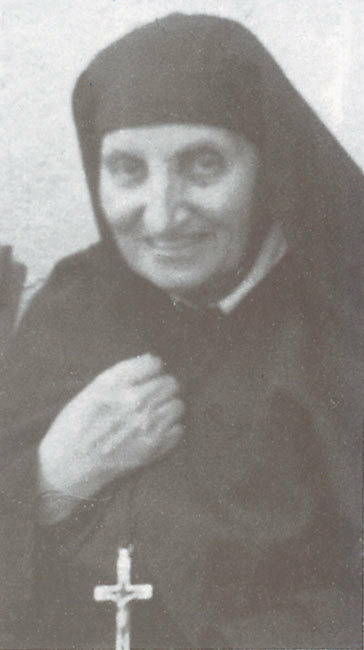 At the end of Gemma’s life when she (Gemma) was close to expiring and in tremendous agony she looked at Eufemia and said, “Learn, Eufemia, how Jesus wishes to be loved.” Eufemia seemingly received the precious inheritance of Gemma’s spirit as she would later become a Passionist nun (taking the name of Gemma) and eventually founded the Passionist Missionary Congregation of St. Gemma’s Sisters in 1939. She died in 1971 in the odor of sanctity.